Here's the thing about backcountry skiing in the Eastern Sierra Nevada: You can't just ski one line. 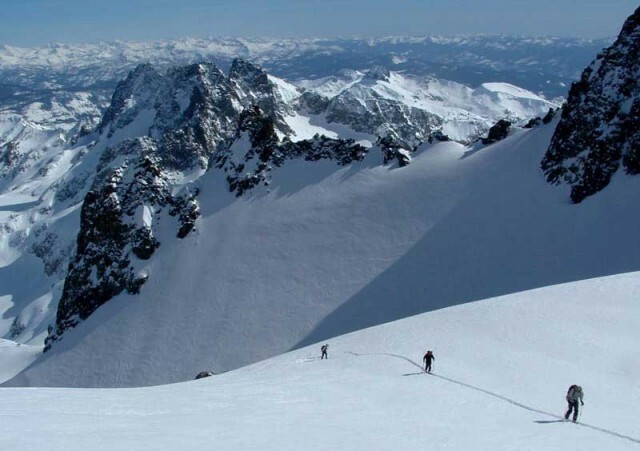 Because as soon as you're on top of that mountain, about to drop into that couloir, you'll look out to the horizon and spot five more lines that are equally as classic, just as sustained, and even more of a challenge. Before you know it, the Sierras have you hooked. And on it goes for a lifetime. 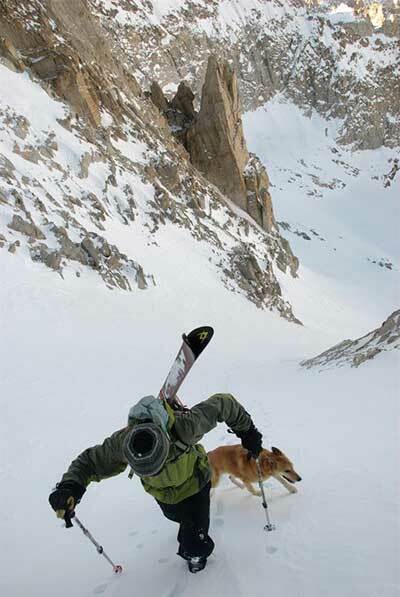 Mammoth-based backcountry skiers Nate Greenberg and Dan Mingori know that feeling. With every line they skied, their list grew longer. Soon, they had skied enough in the Sierra to write a book about it in 2009. After their first edition published, Greenberg and Mingori kept skiing, kept exploring. Now, they've collected even more beta to publish another updated and expanded second edition. Backcountry Skiing California's Eastern Sierra, 2nd Edition covers 200-plus ski descents, from Whitney Portal in the south to Matterhorn Peak, some 150 miles north in Bridgeport. Either Greenberg or Mingori skied every line published, so the book is written entirely from first-hand experience. The book is divided into 14 watersheds, which they call regions, which are then further broken down into areas and peaks and lines, respectively. For those who are easily overwhelmed, start with the checklist of 43 classics in the front of the book. Even if you already own the first edition, this updated edition is worth picking up for the new regions in Bridgeport, Independence, and Lone Pine. Greenberg and Mingori, with the help of their designer, McKenzie Long, also refined their rating system. Each line is graded in terms of aspect, consequence and exposure, and slope angle, with corresponding visuals, so that a backcountry skier could check the avalanche forecast first thing in the morning and then flip through the book to find the most optimal line to match the day's conditions. You can pre-order Backcountry Skiing California's Eastern Sierra, 2nd Edition at Wolverine Publishing. The book will be on shelves at California ski shops in the coming weeks. 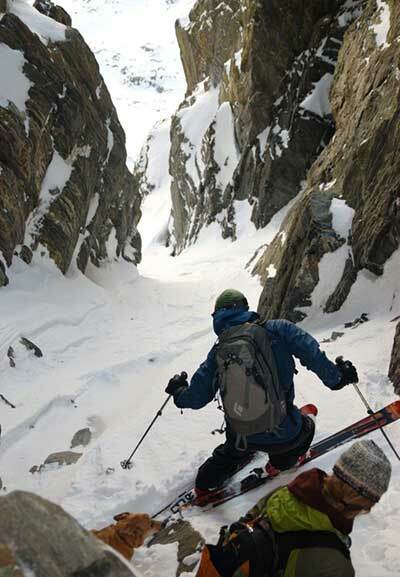 We caught up with Greenberg, who moved to Mammoth, California, to ski in 2000 and is on the board of the Eastern Sierra Avalanche Center, to ask him about writing guidebooks for skiers. If you have a couple questions yourself, you can catch him at the book signing at Mammoth Mountaineering in Mammoth Lakes on December 13. How did you get started writing guidebooks? I moved to the Eastside [of the Sierra, in 2000] because I wanted to climb and ski. The old guidebook was 20 years old at that point. It was black and white. It had questionable information. Dan was one of the first people I met in Mammoth, and we spent a fair amount of time in the backcountry. Around 2006/2007, I made some maps that were backcountry-touring oriented, and put out a few dozen of them, on a really small scale, and people just gobbled them up. I went back to Dan, and said hey, would you be interested in writing this? For the second edition, you spent most of your time exploring the northern areas. Can you give us an overview of your favorite zones? Bridgeport in general is a gem. The Hulk, that whole side canyon area, as a climber and a skier, is pretty special. I spent a lot of time in 2011/2012 in Lundy Canyon. That is a really cool, totally overlooked drainage, wedged between Virginia and Lee Vining. It's stacked with terrain. A lot of it is easily accessible, big lines, and it's one of those places that's totally off the beaten path. Do you ever think twice about publishing those lesser-known areas? We talked about this book first in 2006, and were like, 'I don't know. Do we want to do that?' Do we want to take any heat that is going to come on us for putting this out? Or leave it for the public to explore? We put some maps out, and people wanted access to information. I'm on the board of the avalanche center…The more information I have access to, the better potential I have to make good decisions on where to go.